Anti-aging therapy optimizes quality of life by postponing the onset of age-related illness. Anti-aging therapy takes a multi-faceted approach to wellness, combining hormone replacement therapy, regenerative treatment methods such as prolotherapy and medical weight loss to provide a complete wellness program. Aging is natural process accelerated by normal wear and tear on the body. Over time, we become more susceptible to illness and injury, and this can cause lasting changes to our health. For many men and women, optimal health starts to decline as early as age 40. Anti-aging medicine combines preventative treatments with science-based therapy to address the underlying causes of aging. In most situations, therapy is most effective when started early in the aging process. Anti-aging therapy programs address underlying health concerns to improve quality of life with age. This often leads to improved energy levels, greater cognitive functioning and improved mental and physical health. Without anti-aging therapy, issues like these will cause declining health over the course of several decades. Anti-aging therapy postpones the onset of these issues, allowing you to experience optimal health for longer. 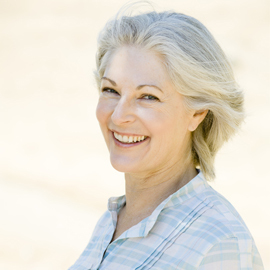 Many of the concerns of age can be attributed to hormone imbalance. Both men and women experience fluctuations in hormone levels with age. Hormone replacement therapy uses bioidentical hormones to stabilize fluctuating hormone levels, restoring them to their former balance and preventing symptoms of hormone decline. Every person ages in slightly different ways. Anti-aging programs are customized to the individual needs of each person, accommodating for any special concerns. In addition to hormone replacement therapy, many anti-aging programs will incorporate pain management, nutritional counseling, personal fitness training and medical weight loss support.